There are a lot of good reasons to become a real estate agent. You can make your own hours, earn good money, and help people find their dream home. And if you're going to put in all that hard work and effort into becoming a real estate agent, you might as well become the best one there is. Whether you're new to the business or you're a veteran, there's always room for improvement. With that in mind, here are 10 tips for becoming the best real estate agent in your area. Good communication is important in all types of business, but in real estate, it's imperative. A client doesn't want to work with an agent who is too busy to take the time to listen to them. Selling a piece of property is usually very emotional for people. Whether the property was their place of business or their home, it's personal for them. People want to feel as though you're listening to them and their needs. Your role isn't so much as to sell their home as to relieve their pain. These people are putting their trust and faith in you and if you're not listening to them, they will become angry. Your goal is to leave all your clients happy so they'll recommend you and continue to use your services when they need you. People don't buy from a business, they buy from people. People they like and trust. In order to become that person, you must first learn how to listen. In order to become the best real estate agent, you must first realize that you cannot do it on your own. No one is successful at anything unless they have the right type of support. Usually, that means forming partnerships with other people who are willing to help you. That also means you're willing to help them succeed in their business as well. Network with bankers who give home loans, professional organizers, and people in other home-based industries. Builders, interior designers, and even the owners of a pool maintenance company are all great partnerships to form. They'll be able to recommend your services to their customers who inform them they're moving. You'll be able to recommend their services to your clients who have just moved into a new home. You can also join forces to market to the same group of people at a fraction of the cost that you'd pay if you marketed to that same group by yourself. The best real estate agent in your area is probably getting a lot of press. It's not actually that difficult to do. You just have to join HARO. HARO stands for Help a Reporter Out and it's a free system anyone can use. Three times a day on every business day an e-mail is sent out. You'll find plenty of opportunities to share your expertise on all things real estate. Every time you're interviewed, keep in touch with them. You could become their go-to person when they're working on a new story. While it's great that technology now allows clients to view photos of a home before they visit it, there is nothing like actually going inside a home to get a feel of the place. And the best real estate agent also knows that it's a good way to get fresh faces through the door. This is a great way for you to make new contacts. It's also an opportunity to show off the types of homes you can sell. Try hosting one open house a week. After each one, write down what went well and what didn't. Make adjustments to the problems and you'll soon find you have new customers lining up. Automation software has made marketing easier than ever. Especially when it comes to e-mail marketing. Adding your clients to an email drip campaign can help you keep top of mind without a lot of effort. Using this software will allow you to easily keep in touch with all of your clients and business associates. It will eliminate mistakes that are often caused by doing repetitive tasks. Also, it will help you determine which clients are ready to take action and which ones are just interested in keeping in touch. Even if a client finds their dream home and plans to never leave, it's still important to keep in touch with them. You don't need to contact everyone all the time. Even sending out cards during the holidays will work. Just keep in touch enough to say hello and remind them that you're still in business. When people feel you care enough to keep in touch, they'll be more likely to recommend you to friends and family. 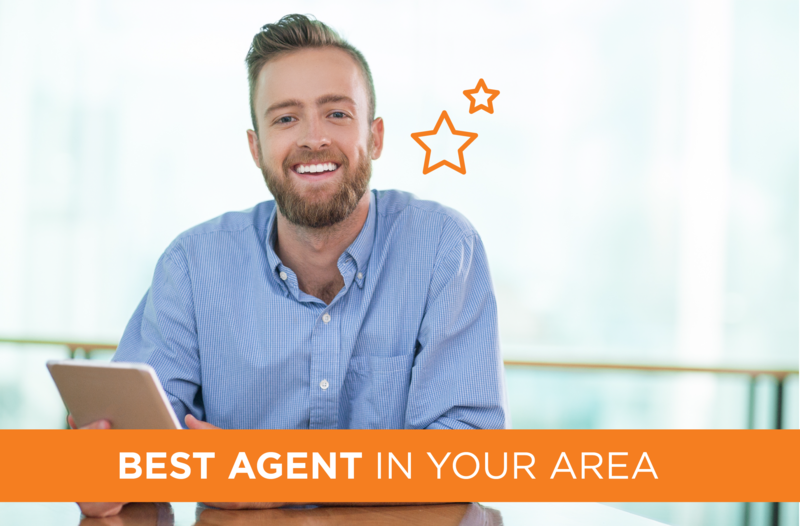 If you're not online, you'll never become the best real estate agent. Get on social media and create a profile on your favorite social media sites. Make sure to be consistent across all online sites. Have a website that shares information about you and your business. Make sure it looks professional. Having an online presence makes marketing easier. There are tons of free online tools you can use to increase your SEO. The best real estate agent in your neighborhood probably knows how to easily size up whether someone is a serious buyer or is "just looking". Learn how to determine the difference and you'll find more success. There's no point in wasting your time on luke-warm leads. Instead, develop a system that helps you identify your hot leads so you can focus on them. You'll find you have more energy and fewer disappointments. It takes money to run a business. Out of the top five reasons why businesses fail, two are them are related directly to money. Create a budget and stick to it. You can always alter it as your financial situation changes, but a budget will make your life and the path to success much easier. Being your own boss is exhilarating. And often exhausting. Take care of yourself. Get enough rest every night. Plan your meals so you're eating at least 80% healthy foods. Exercise regularly. Do what you can to stay healthy mentally, physically, and spiritually. You'll find you can focus and bounce back from hardships easier. Find companies that are expressly interested in helping real estate agents succeed. We offer online products to help you find the leads you need. To learn more about our products and pricing, click here.